If you want to take your tax business to the next level, some things must change – that’s a fact. 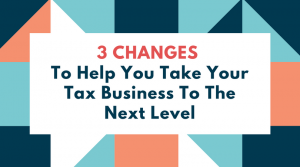 Well, because change is mandatory for growing your tax practice, I recommend the following three strategies – true game-changers – for breaking out of the pack and beating your competition. If your tax business advertising results have not been stellar in the past, I wouldn’t recommend blaming it on the media you used. In my experience, the media usually isn’t the problem. In most cases, when a tax business promotion loses money or doesn’t work like you hoped, it’s usually a TARGET MARKET or MESSAGE problem. But let’s say you do have an ad that’s working for you. The promotion is bringing you an acceptable ROI, so what do you do next? You might be surprised, but by just taking that same ad which is already working for you and running the promotion in other media, you can double or triple your results. In many cases, you barely have to change your ad. All you have done is leverage your marketing message and added it to a few more platforms (MEDIA). The right media gets the attention of your target market and when run in tandem with other promotions, momentum occurs. This multi-media effect actually provides an extra boost to all of your campaigns when compared to just running a stand-alone promotion. Another way to boost your tax business promotional results is to change WHO is doing the selling. gain a new client like gold.) Having a high-priority mentality inside the office, that selling an appointment or getting someone new to come in and give us a try, was critically important to our success. This mentality is important for an OUTSIDE sales team, too. Did you realize your existing tax clients are THE best sales team you have for spreading the “good news” about your tax business? Go out of your way to treat them like your secret agent sales force. 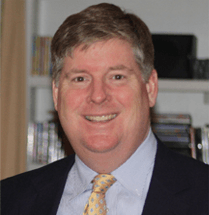 Be purposeful about gathering your top ten or twelve “best referring” clients. They love talking about you and your tax business anyway. Pick a date and invite your “champion” clients to come together with you at the same time. Feed them and give away a few nice gifts, showing appreciation for being some of your “Top Referring” Clients. Look them in the eyes and tell them what a difference they make in your life! Then give them permission to take your Refer-A-Friend Program and run with it to the next level. Offer additional “sales material” for these word-of-mouth experts to pass along to their co-workers, neighbors and family members. First, let me be clear. Savvy tax pros always look to sell to other quality clients similar to the ones already in their client database. They find small segments of clients grouped together in their list who have proved to be excellent people to work with. OBVIOUSLY, YOUR FIRST PRIORITY IS TO SELL TO THESE KINDS OF FOLKS FIRST. Then, I want you to block off some time to brainstorm with a couple of friends or family members and begin to remind yourself about your existing relationship capital. You might not realize it, but you have RELATIONSHIP ASSETS buried in your tax business, too. These relationships are with people who can bring great value to your tax practice. Like lost treasure, if you knew where the gold was buried, wouldn’t you try and dig it up? Note: Please don’t over-complicate what I’m about to say. (The reason I’m bringing up this simple strategy is, historically, tax pros are terrible at basic networking.) You can make a list of all the people you know in your city today. They don’t have to be hugely influential. But it helps if they have a group of folks in their personal circle of influence to be able to spread the word about your tax business. What makes networking work well is having a great HOOK. This is an attention-getting reason why taxpayers should seriously consider you verse all the other tax filing options available to them. Sound familiar? You can compile a separate Unique Selling Proposition for your tax business just for networking purposes.